Get Booking Now For Great Garden Shed Clearance Services – Just A Phone Call Away! Go Rubbish Go. is 100% committed to providing customers with first class London garage shed clearance services. So if you are eager to get your hands on a reputable and reliable company to help you with garage shed clearance, we are more than happy to help! We are always just a phone call away if you need our expertise. Our team of experts can provide you with miraculous results that you would never be able to achieve singlehandedly. Instead of doing it yourself, which takes time, energy and money, why not hire us now for the best garage shed clearance London? Your shed, over time, can accumulate a remarkable amount of waste and rubbish. If you have been neglecting it for quite some time, it’s probably in a terrible state and you’ve probably gathered a great deal of rubbish and clutter over the months, or possibly years. If this is the case with you, don’t hesitate to book a date with us for a professional garage shed clearance in London. Just get in touch now on 020 8610 9182 and we can give you a free quote, answer your questions, and book a date. There are probably bag full’s of waste, dirt and all the rest hidden in your shed at home. Why don’t you think about clearing it to make room for other new things. You could really transform your outdoor living area but you will not be able to do that when you still have loads of rubbish accumulating in it. That is why we suggest hiring us for professional London garage shed clearance. Over time, you would not believe how much rubbish can stack up. Make room for something else by using us to remove all your rubbish for good. We can do it quickly and perfectly without any time delays or problems along the way. You won’t have to deal with any of the stressful parts of the garage shed clearance because we will deal with all of that instead. 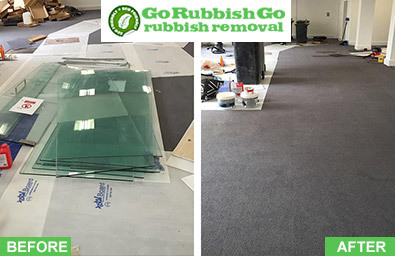 We will remove all your waste properly and legitimately. You need not worry one little bit! So call us now for a free quote straight over the phone on 020 8610 9182 and you will not look back once you see how enjoyable and easy it is working with us. If you need London garage shed clearance, it is recommended that you book with us now and we will transform your shed or garage. 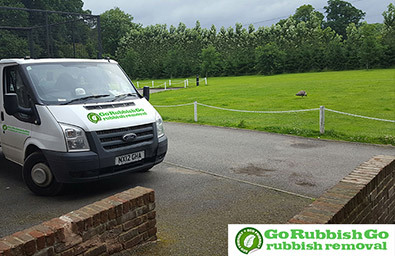 For dependable, flexible, efficient and truly impressive garage shed clearance London service, opt for Go Rubbish Go. We have been running for a long time now and throughout the years we have honed our skills and we continue to develop and grow as a London company. What we are trying to say is that we always do our very best and work our very hardest to ensure our customers are content with us and our garage shed clearance services. We try our hardest to keep our prices low and our standards high! If you are unhappy with us, let us know. We appreciate customer feedback! Call 020 8610 9182 now if you’d be willing to try us out for professional garden shed clearance. With our amazing garden shed clearance in London, you won’t have to look at another shred of dirt or waste again. We will get rid of it all for you in next to no time. Even if you need it done urgently, we can! So call us straight away and let us take care of everything for you. We can have your shed looking clutter and rubbish free! It will look clean and roomy.